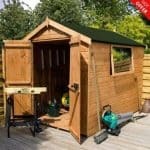 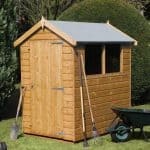 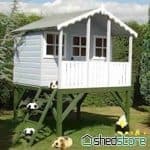 This is a good compact size attractive wooden garden shed perfect for limited spaces and is constructed out of shiplap wooden timber. 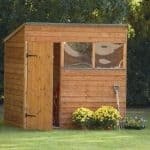 It comes with an opening side window and a single front door. 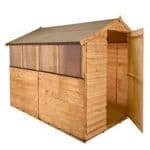 The apex style roof makes this a good looking out building which will be at home in any garden. 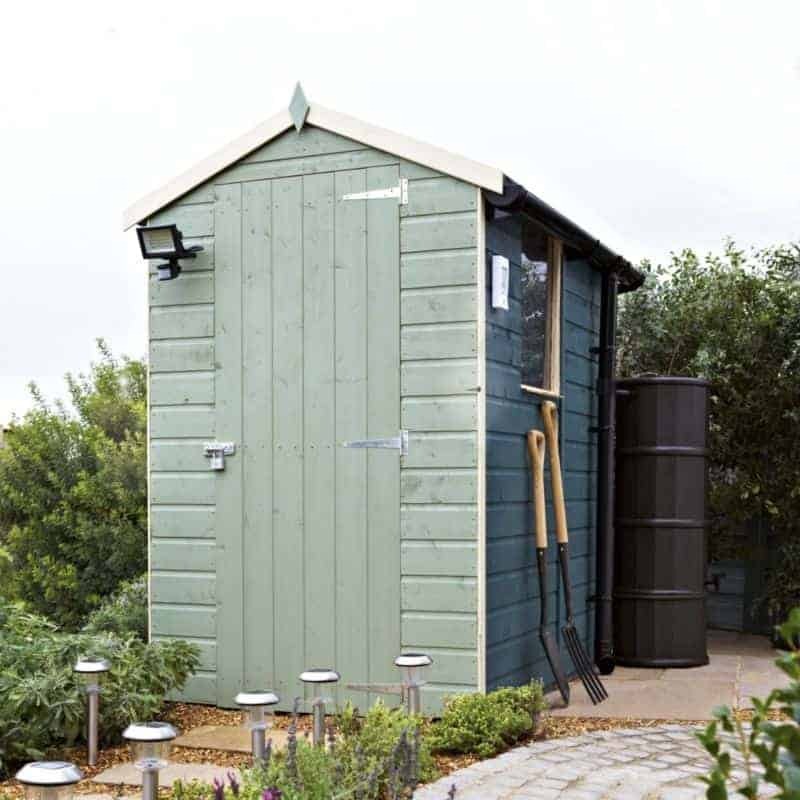 There is plenty of space inside to keep all your garden equipment, furniture and toys clean and dry and it works well as a secondary storage building too for those looking for extra space. 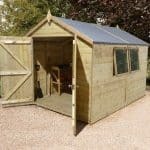 The shed is home delivered with a base.